Turn your shelf into a nightmare! 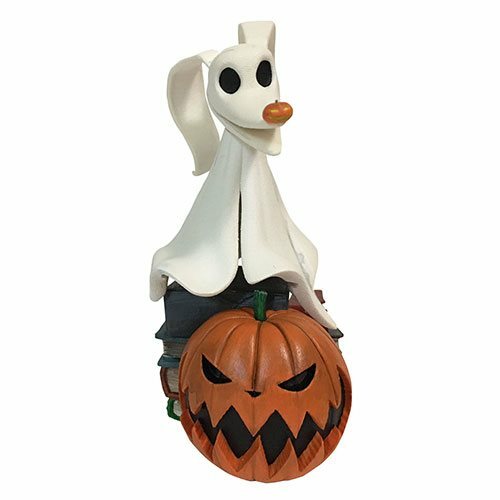 The cast of Tim Burton's Nightmare Before Christmas continues to populate Diamond Select's line of resin busts. Jack Skellington's dog, Zero, stands approximately 4-inches tall atop a pile of booksand a jack lantern. The Nightmare Before Christmas Zero Resin Bust is a limited edition of 3,000 pieces and includes a numbered certificate of authenticity in a full-color box.